Although you can see that Bran Castle was in need of restoration in the bottom photo you can see that it did happen. 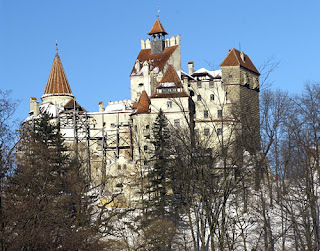 Just like with many of the castle in Transylvania, there is a need to restore them. Some of the many reasons include for tourist to see what that huge castle is all about and go and explore it day after day. 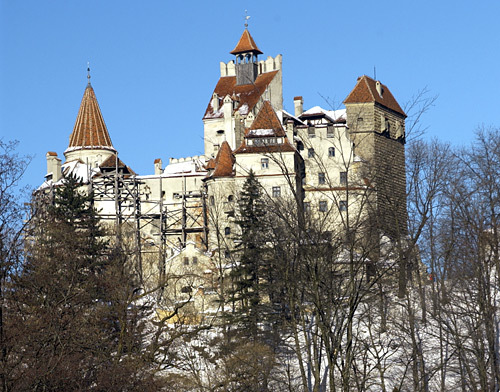 There have been several restoration which have happened to the castle, including the ones made for Queen Marie of Romania, and also by the Romanian government after the 1950s. 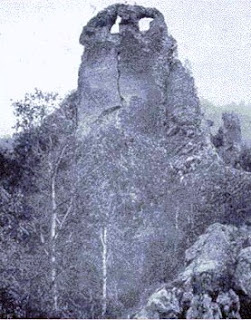 This picture here is not all that was left of Bran Castle but rather parts of what were left, it took considerable restoration to get it to the above photo. Note that without the restorations, there possibly would not be as many tourists who would go and look at the Castle-- or other cities such as the historic city of Alba Iulia or Brasov.